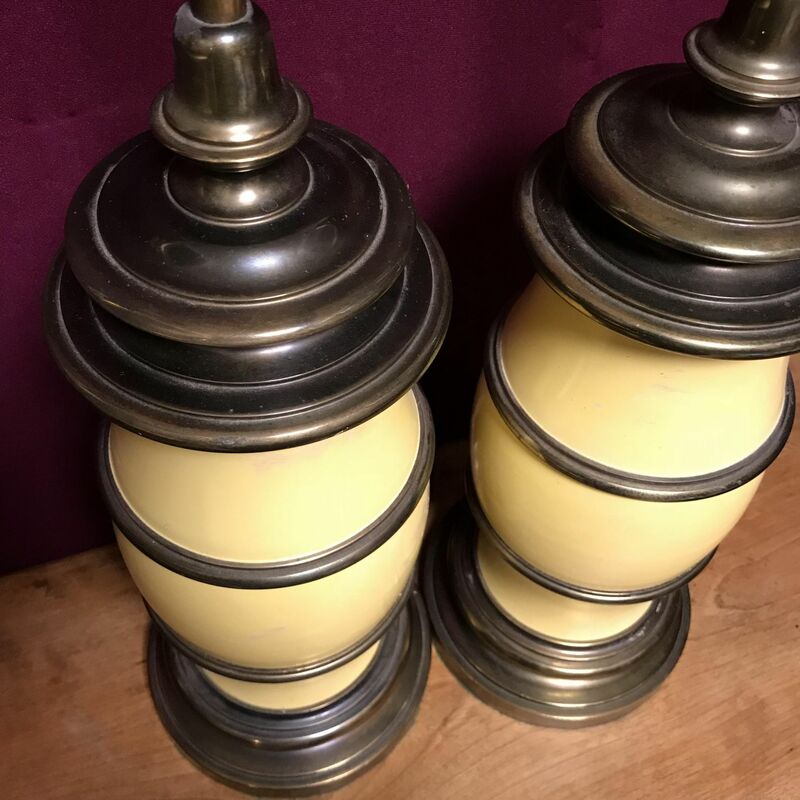 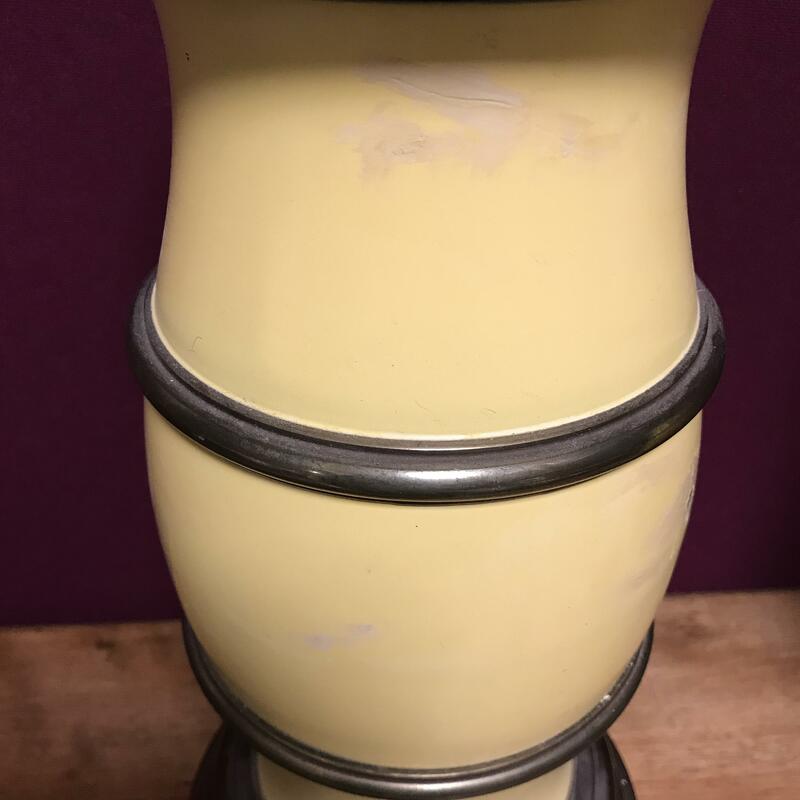 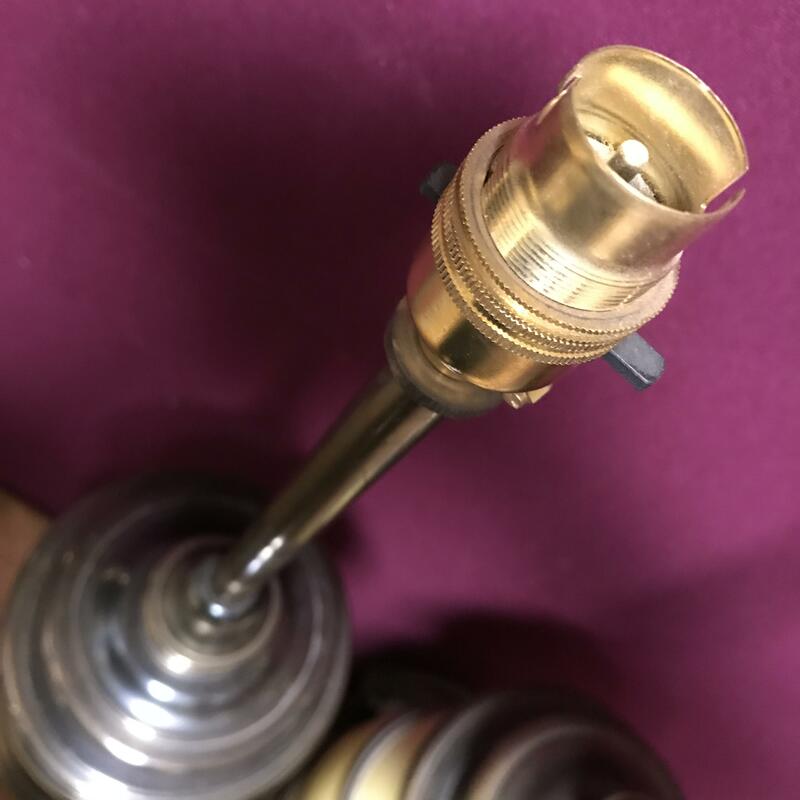 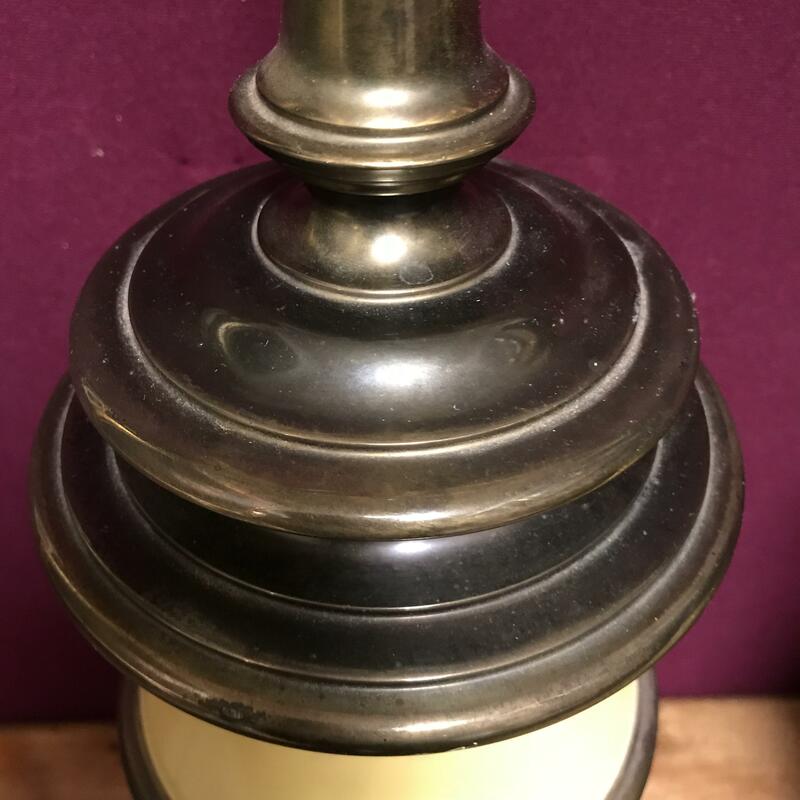 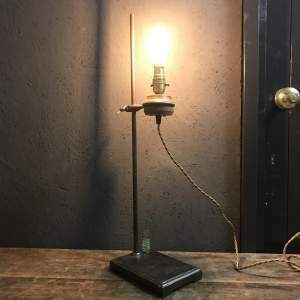 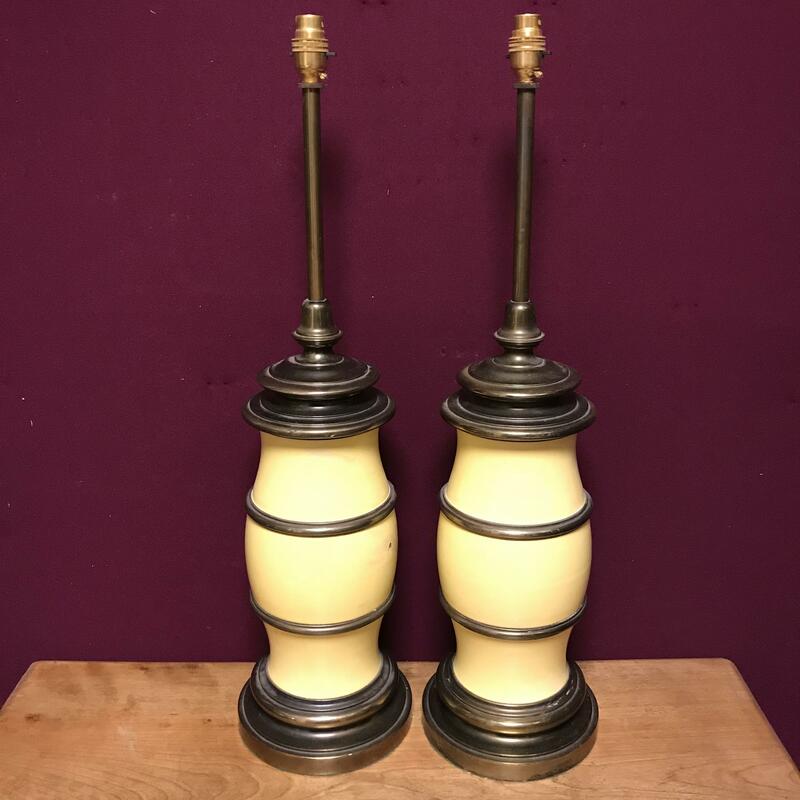 Solid brass and painted large 20th century table lamps. 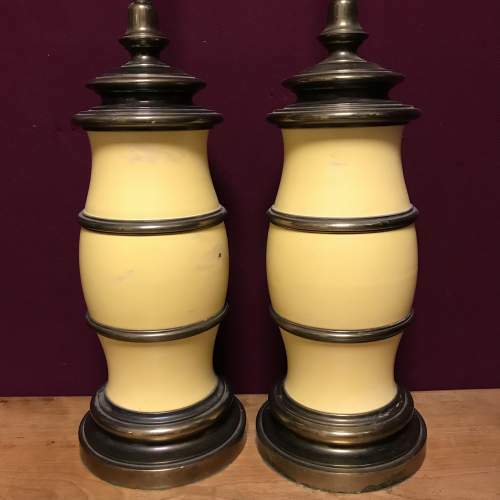 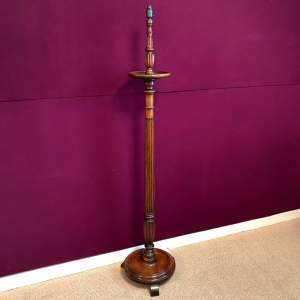 Wonderful pair of large heavy 20th century tall table lamps. Solid brass and painted design which can be repainted to suit your decor. 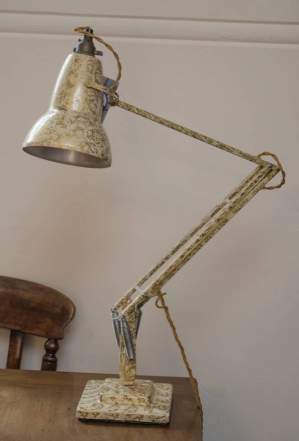 Rewired and PAT tested.